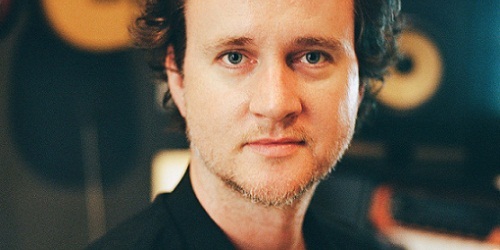 PopMatters sat down with Greg Wells to talk about what it was like producing the companion soundtrack to The Hunger Games, Songs From District 12 and Beyond. He goes into the process of creating the Kid Cudi song on the soundtrack, "The Ruler and the Killer". “I played some bass on it, and T-Bone played this kind of very vibey little acoustic guitar pass, he did the same kind of beat, he just jammed on acoustic guitar over this track. And pretty much everything he played in the first take was just this great little, fantastically weird little notes. They’re quite featured in the final mix I did on the track. And then I did a mix of that, we listened to it and lived with it. Cudi came in to tune up the guitars a bit ... and we had it. It was quick. The soundtrack itself stands as one of the great film soundtracks of recent years. It, like Burnett’s soundtrack for the Coen Brothers’ film, O Brother, Where Art Thou?, and every soundtrack for every Quentin Tarantino film ever created, is a narrative in its own right, allowing the listener to know and live in the world of the film long after the screen goes dark. The album boasts talent like Taylor Swift and Kid Cudi, as well as The Decemberists, Arcade Fire, and Neko Case, among others, creating a rich tapestry true to the dystopian, Appalachian core of both the film and the books.